Motorsport.com talks to former Lotus F1 junior and current Prema Powerteam driver Juan Manuel Correa as the American seeks to add single-seater successes to his past trophies from karting. 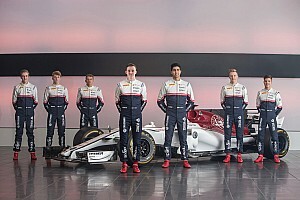 In the years since Scott Speed's unamicable separation with Toro Rosso, American juniors have had a rather tenuous relationship with Formula 1 teams, although the situation has changed in the past few years, with Alexander Rossi's F1 debut and Santino Ferrucci's link-up with Haas. Amid all that, the signing of another American junior went somewhat under the radar and understandably so: when he was picked up by Lotus, Juan Manuel Correa had just turned 14 and was still working his way, albeit quite successfully, through karting. In the two years since Correa was picked up, Lotus' junior programme has ceased to exist, vanishing as Renault completed its takeover of the Enstone-based team. Correa, however, is no worse off, now making his first inroads into single-seaters as one of the most promising Americans on the scene. 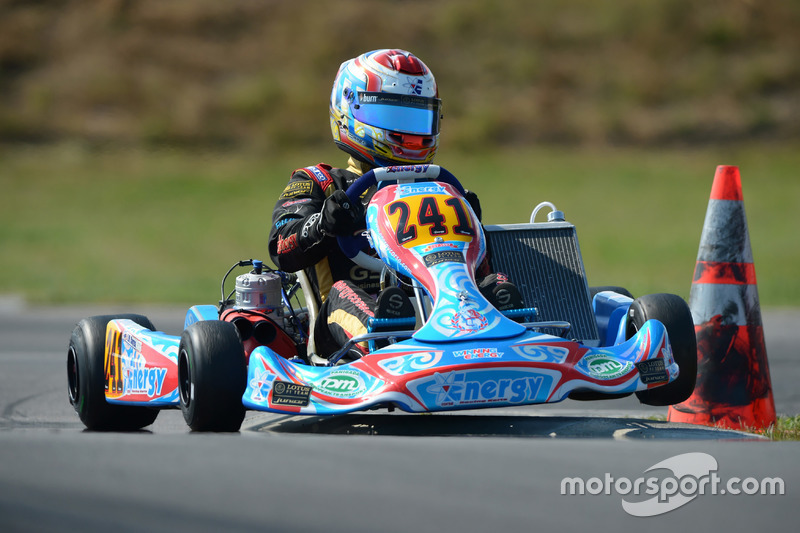 For Correa, 2013 was a big year, the American winning the US Rotax MAX Grand Nationals title and then becoming a world champion in the Rotax Grand Finals. And it is that latter victory that led to him spending the next two years in Lotus colours. "I got a call from [karting team] Energy because I won - they were the ones sponsoring the junior class for Rotax - so they asked me if I wanted to do a test in Europe," Correa said. 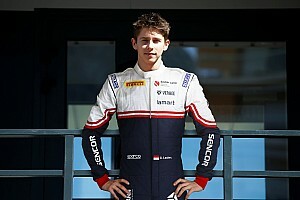 "I did the test in KF3 [kart class], it went really well, they had connections with the Lotus junior team because [Dorian] Boccolacci was with them at that point. "They talked with the Lotus junior team, they came to see me – and we signed a contract with them that same week." The move wasn't pre-planned, meaning that Correa was faced with a daunting relocation to Europe aged just 14, something the American admits was hard on his family. But it paid off, his final two years in karting – with Lotus and run by Italian team Energy Corse – yielding a highlight fifth place overall in the European championship. "In the end, the two years [Lotus and I] had together, they were good, they were great," Correa recalled. "They helped me a lot financially and, if it wasn't for them, I would have not been able to race both years in Europe. "Unfortunately, when Renault bought the Formula 1 team, they decided to stop the programme completely and they changed all the staff and so on. "But I wouldn't change it for anything, if I had to do it again, I would still go with them, because, in the end, it was still a great experience." Now without the backing of Lotus – albeit retaining that junior programme's boss Gwen Lagrue as manager – Correa is making his first steps in Formula 4, and doing so with a team of the highest calibre. 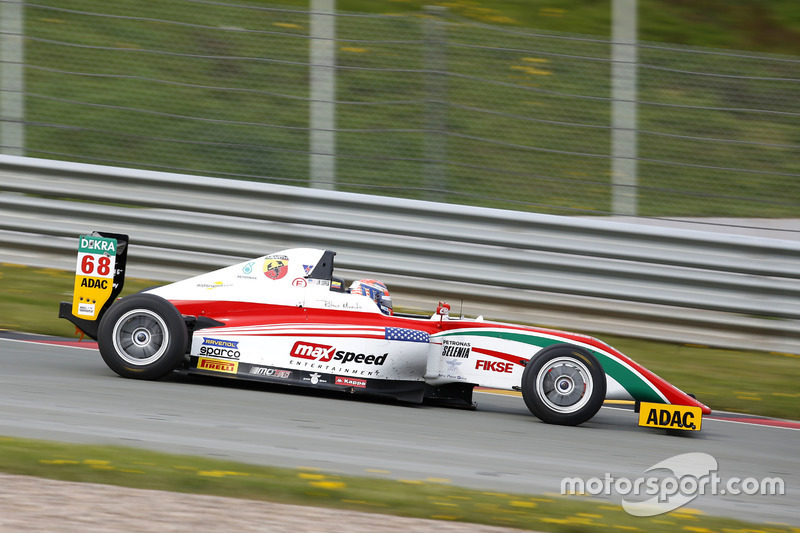 The American, supported by American karting series organiser MAXSpeed Entertainment, has signed with Prema Powerteam – a squad with countless F3 and several F4 titles to boot – and is currently teammate to fellow karting star Juri Vips and one Mick Schumacher. But even for a team with such pedigree, F4 is a mighty challenging category. 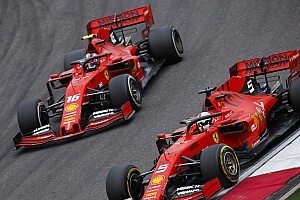 After all, the grids of the Italian and the German series have soared past 40 cars in 2016, and a lot of the drivers present have the talent and/or experience to fight for wins. For Correa, however, the grid size is no issue. "I think it's a good thing. At least coming from karting, you already are used to it, so it's not a big problem, hasn't shocked me in any way. "It's good, the categories are doing quite well and I was impressed by the level." The crashing, of which there is plenty, is also no major drama. "It's not a problem of driving standards. There's so many cars, inexperienced drivers, which is normal because it's the first step in the ladder. "They have tried [to curb the accidents] and we've had a lot of meetings before the races and, talking about the standards. But, in the end, there's only so much you can do." 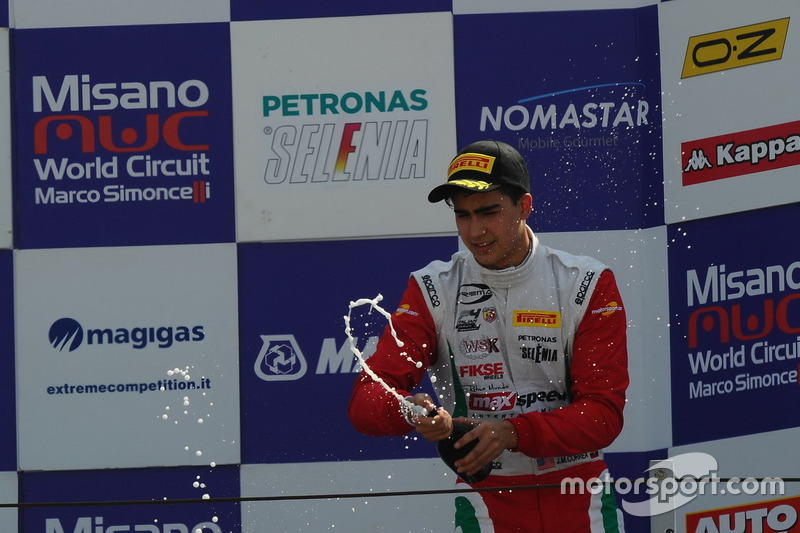 Correa's already shown good pace in F4, securing a maiden podium in the Italian championship, but gunning for title honours is a nigh impossible ask, given the amount of experience in the category (the Italian series is headed by second-year driver Schumacher, while the German standings are led by third-year open-wheeler Joseph Mawson). "I hear people talking about these guys - Mawson and [fourth-year driver Kim-Luis] Schramm – and being unhappy about it because they think their presence unfair to the rookies. But I think it's really good for us." 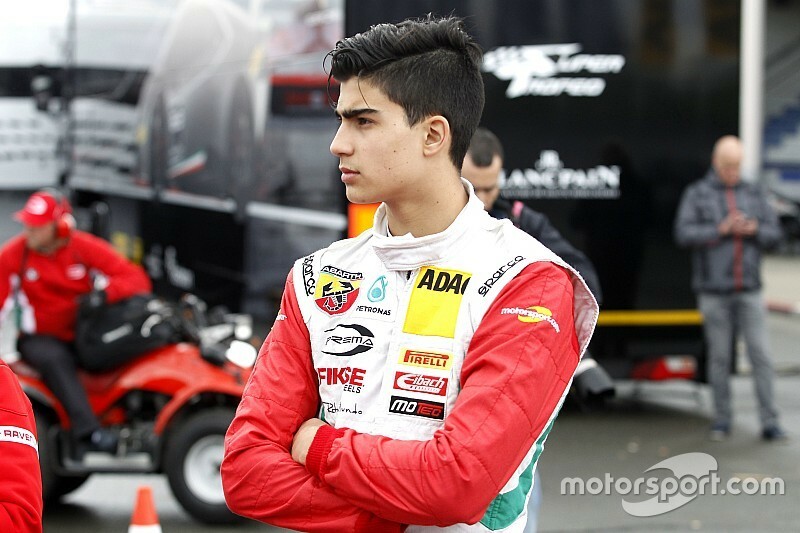 Confident he'll challenge for race wins later on in the season, Correa, nonetheless, does not know whether he'll be ready to move on from F4 at the end of the year. And for the American, moving up the ladder at a steady pace is the preferred option, compared to the rapid promotion plan that many of his peers seem to be pursuing. "There's definitely two philosophies, I would say, for a driver," Correa explained. 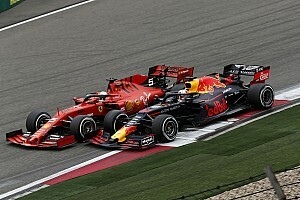 "Those who just want to go, keep going and kind of copy [Max] Verstappen, that's their philosophy and if they feel that's the right thing to do, good for them. "In my opinion, you just have to feel if you're ready or not and then keep on going. 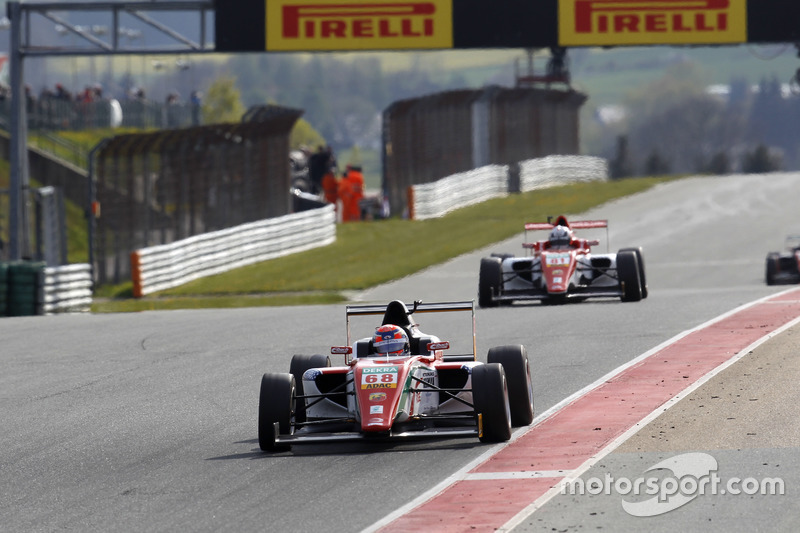 There's no point in doing an average season in F4 and then 'oh I'm already 17, I have to go to F3'. "I don't see the rush. I think it's much smarter to do a second season where you learn more than you go to F3, do a crap season and lose your confidence." That said, Correa doesn't have all the time in the world to work his way up the ladder, as he admits he wouldn't want to be paying for his seat when he hits 25. And the American realises very well that there's always a chance the Formula 1 dream will not have panned out by then. "I'm definitely confident in myself, in my abilities, but there's just so many factors that can affect you. It's not really something I think about a lot. "Just try to do the best job I can every time I go on track, try to be better in all the little details than the other drivers. In the end, we'll see what happens - I'm open to other possibilities apart from F1. "F1 is the top, it would be nice, that's what I'm aiming for - but if it doesn't happen, it doesn't happen. You can't just tell yourself "I have to arrive to F1', because if something happens... sometimes it's just not possible." The F1 project certainly doesn't seem impossible for Correa, whose performances in his rookie F4 season so far have been perfectly credible. But he is one of many hopefuls, and the American is well aware that the junior ladder is as tough as it's ever been. "It is quite hard, there's just so many drivers that want to do the same thing. You get this pressure on your shoulders. "But I wouldn't trade it for something easier. I've learned so much - not just in terms of driving, but life, you know, with this experience. "I wouldn't change it for anything. 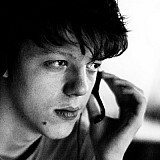 Wouldn't change anything that I have done in the past five years. And I love it, I enjoy it - if it works out, great, if it doesn't, I won't regret it at all."